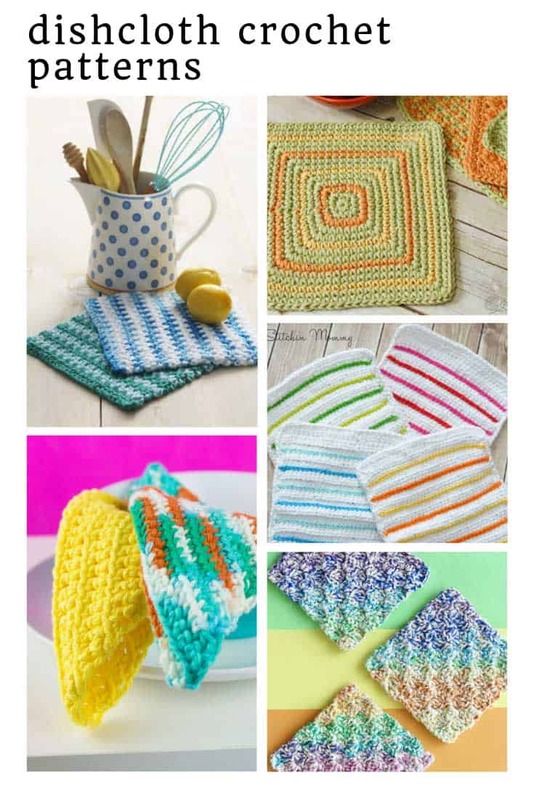 We’re on a roll with our kitchen crochet patterns and today we have more dishcloths for you! 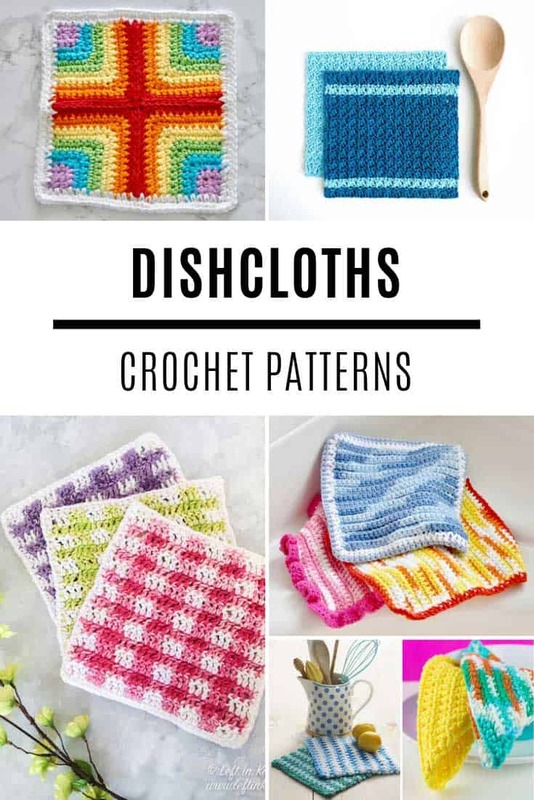 If you haven’t figured it out yet I’m a big fan of crochet dishcloth patterns, because not only are they ultra-soft on your hands and super stylish on your kitchen sink they’re a great way to learn a new pattern! Embarking on a large project like an afghan can be daunting if it’s a stitch you’ve not tried before, so working on a smaller scale like a cloth is perfect. 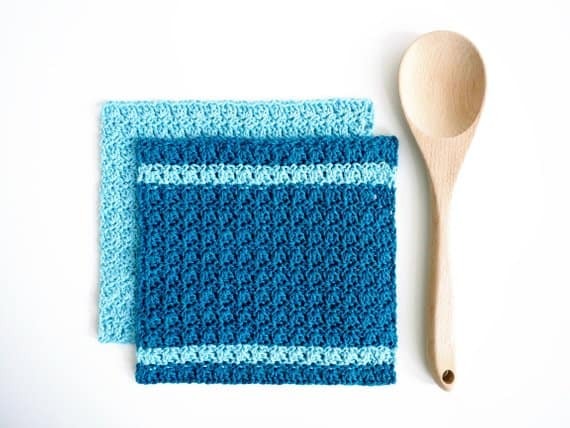 You have a chance to practice the stitch and have something practical to use in your kitchen (or give away as a gift) within the hour! 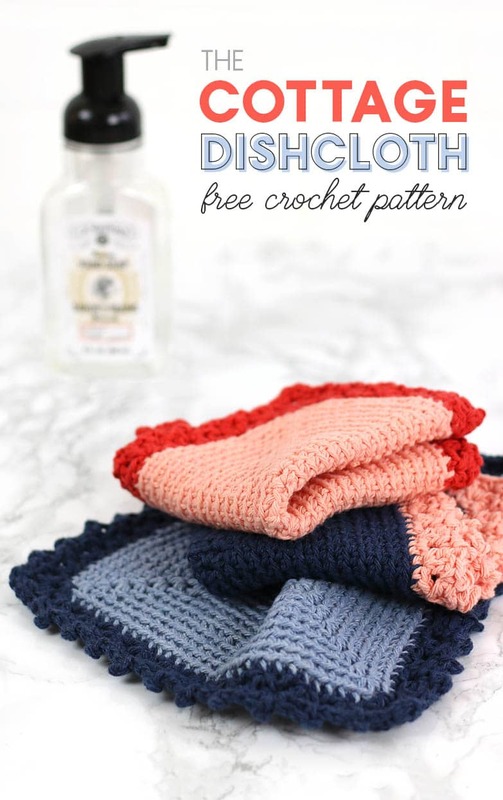 I’ve bought a lot of dishcloths from the store in my time and none of them have ever looked this pretty! Just look at that sweet edging? If you’re putting together a gift basket for a housewarming you need to put a handful of these cloths in! Did you know that bonbons come in cotton too? 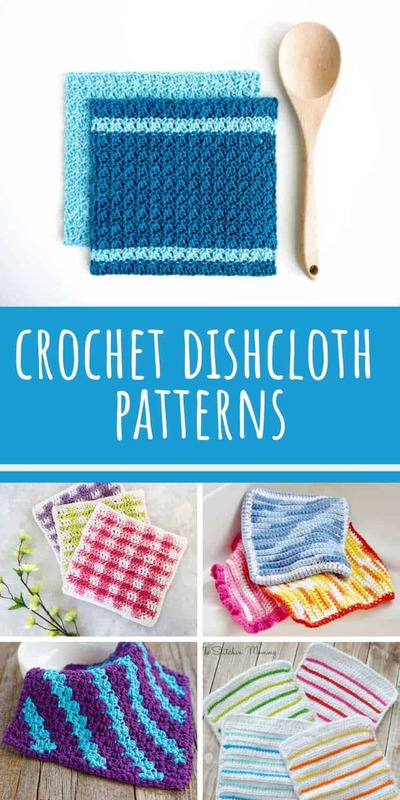 If you’ve been looking for an excuse to buy some I think this cute woven dishcloth pattern is the perfect reason! Never tried a corner to corner project before? 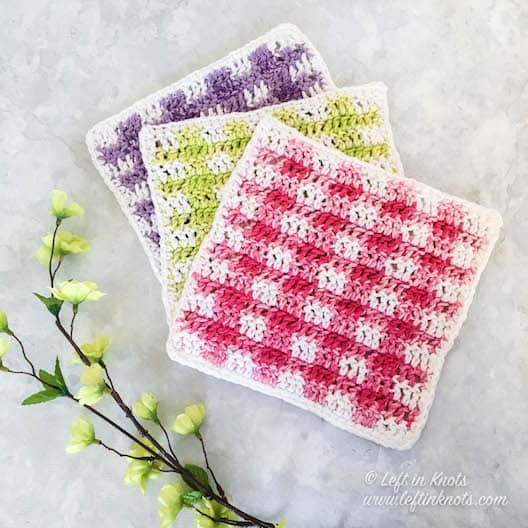 Check out this C2C dishcloth pattern which is a great way to practice. I really love this purple/turquoise colour combo too! 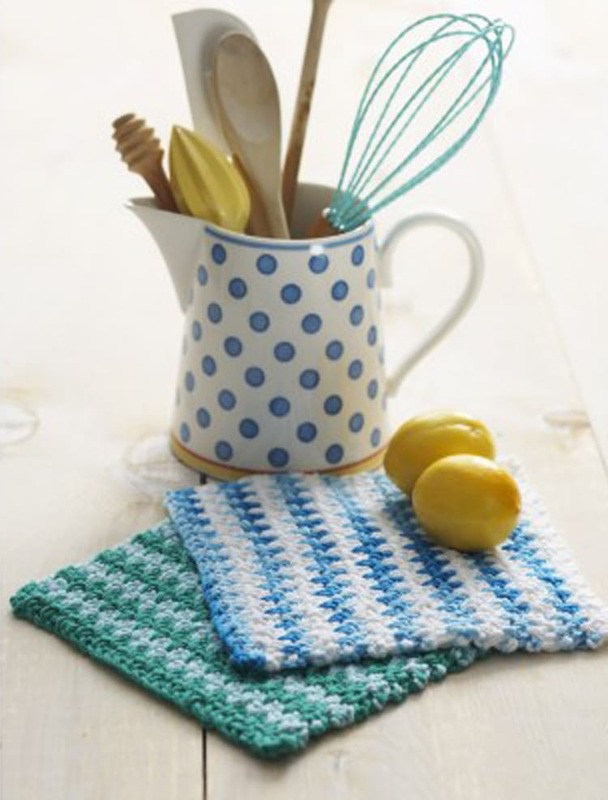 Whether you have a country style kitchen or you’re just crazing Spring already why not give this lovely gingham pattern a try. 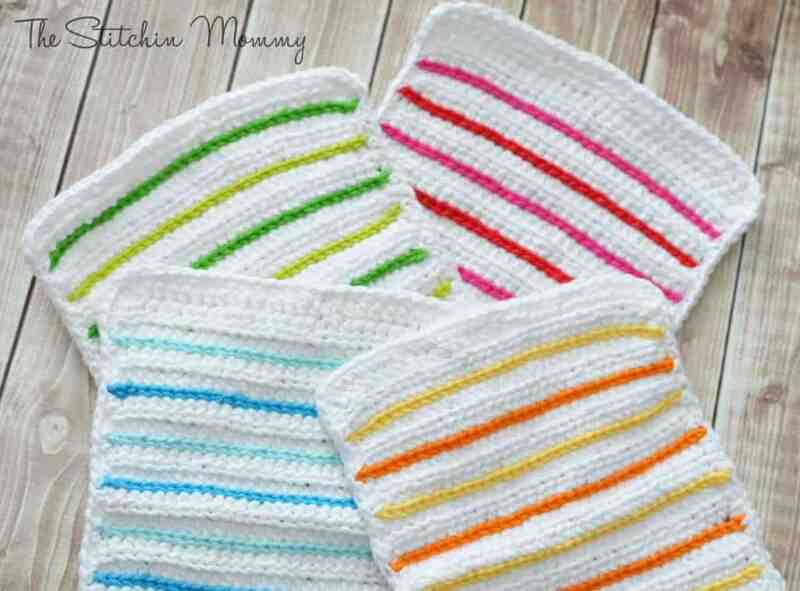 If you crochet items to sell these would probably be a big hit at the summer fairs too right? Ready to try a primrose stitch? Here’s the pattern you need to follow. 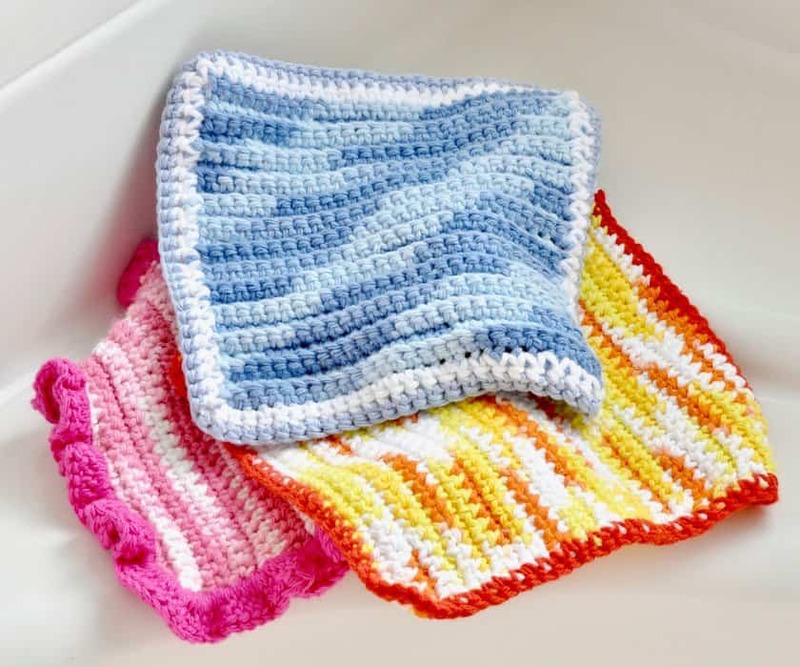 Make one plain and then when you’re feeling confident try one with some co-ordinating color stripes! 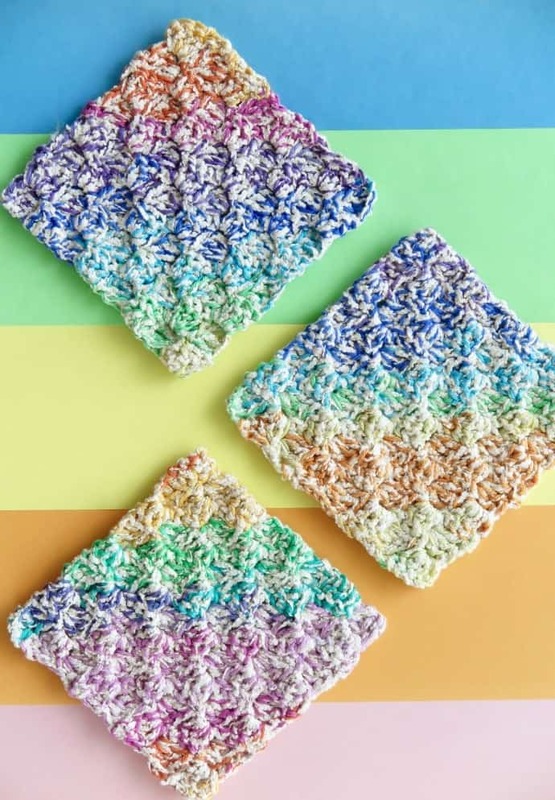 This easy dishcloth pattern is perfect for beginners and you can bring it to life without worrying about yarn color changes by using a variegated/ombre cotton yarn. Speaking of variegated yarn, here’s how it looks if you use it for a corner to corner crochet pattern! 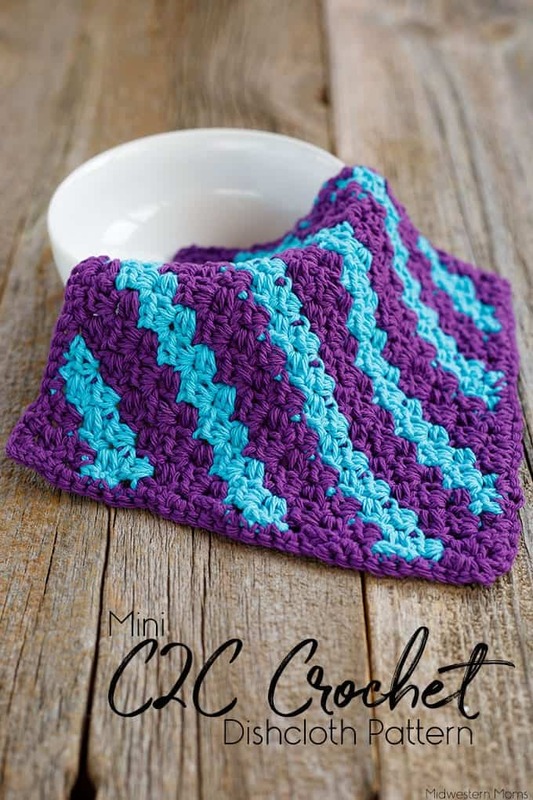 Here’s another fabulously free pattern for a stripe dishcloth. 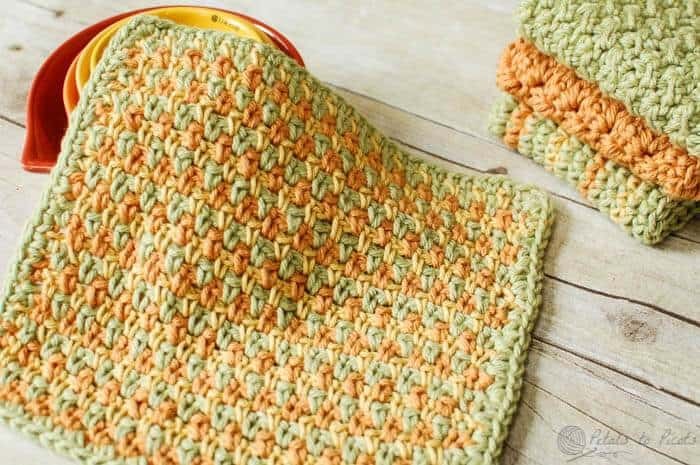 Have you ever crocheted with double yarn before? No? Then you should give this one a try! It’s a C2C pattern that doubles up a 4ply cotton with a 4ply cotton boucle yarn to add some texture. 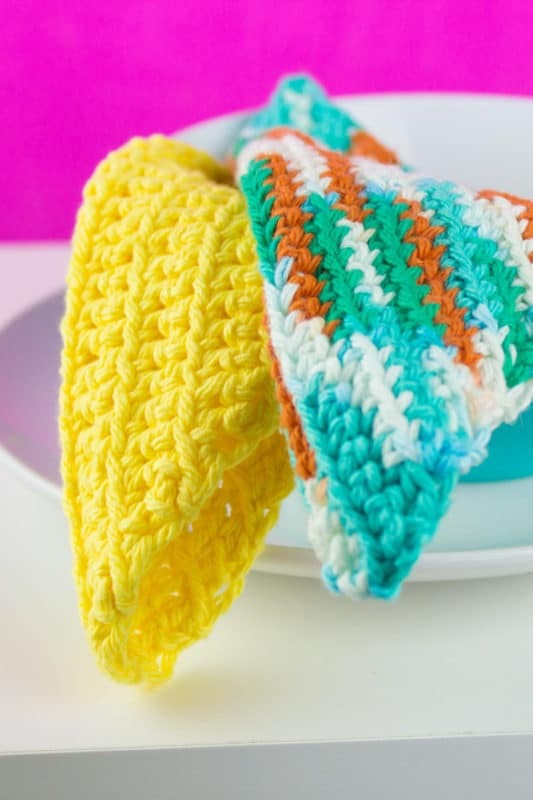 The new skill you’ll learn making this particular dishcloth pattern is crocheting over the top of your basic square to add your color accent stripes! If you need to practice color changes give this pattern a try. 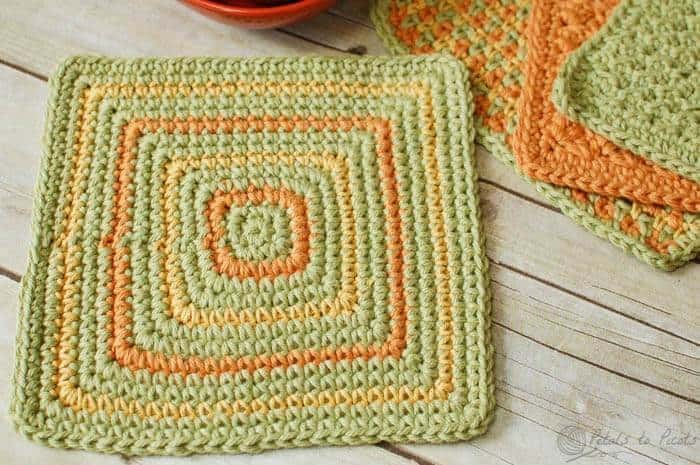 I really love how it looks with the three different colors, and the stitches are kept simple so you can concentrate on mastering the art of changing colors! 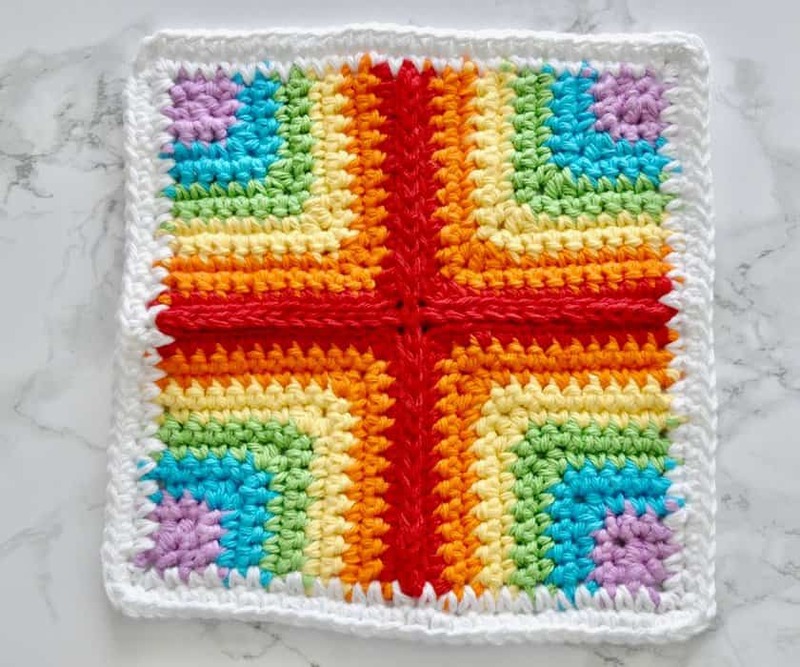 And finally let’s finish up with this square in a square pattern that starts out with a magic circle and includes color changes!